Jay started in the hospitality business more than 20 years ago, having purchased travel agencies to go along with his entertainment security business. He joined Northstar Travel Group more than 15 years ago as a Sales Representative working out of Hotel and Travel Index’s Miami office and eventually became National Director. Today, Jay is Associate Publisher of TravelAge West and Travel Weekly. Stung by the travel bug at the early age of 20 when she worked full-time at a top-producing travel agency to finance her bachelor’s degree in marketing, Shannon Tiger is undeniably passionate and enthusiastic about all things travel. Now with more than 13 years of sales experience for Northstar Travel Group, she develops and executes integrated print, online, digital marketing programs as well as customized solutions for hotels and resorts, tour operators/wholesalers, cruise lines and tourist offices around the world. Neal Tornopsky is a 17-year veteran of travel publishing with nearly ten years of focus on digital media. During his tenure at Northstar Travel Group, he has served in various roles including sales, marketing, product development and project management. Overseeing the Travel Weekly and TravelAge West portfolio of digital products, Neal has been instrumental in driving sharp growth in both the usage of Northstar’s digital portfolio and a corresponding increase in digital revenues. He is a graduate of Rutgers University and resides in New Jersey with his wife and three sons. Audrey joined the Northstar family in 2014 and worked in marketing for two years before moving into sales — first for Travel Weekly in Florida, then moving cross-country to Los Angeles to work with the wonderful TravelAge West team as well as Travel Weekly. Before her move into the travel industry, she taught elementary school in Connecticut and France. Audrey is a graduate of Denison University and enjoys hiking, exploring L.A. and the surrounding Southern California area, reading and, of course, traveling. Laurie has represented TravelAge West in Hawaii since 1987, and it is still the best trade publication in the market! 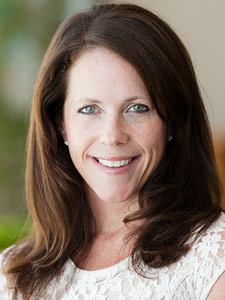 Laurie started her ad sales career when she moved to Hawaii and worked as the Advertising Director for the University of Hawaii’s newspaper, Ka Leo O Hawaii, while earning her MBA. She has been involved in the travel industry in Hawaii for over 30 years and has expertise in developing innovative marketing programs for partners throughout the islands. Being a military brat, Laurie has traveled the world, but still has a long bucket list of places to visit. She loves going on “road trips” with her husband, gardening, golfing, surfing and practicing pilates. Canada is such a vast country that it takes two to cover it. Rosalind Genge, located in Vancouver, and Francoise Chalifour on the east coast are your tourism and trade experts — bringing all things Canada to the TravelAge West | Family Getaways | Explorer readership. Although marketing manager Lisa Frobisher has been with Northstar Travel Group for almost 20 years, she assures everyone that TravelAge West really is her favorite brand. When traveling, she enjoys taking a pint with her kinsfolk in Ireland or cruising along the California Coast. Heralding from the great metropolis of San Francisco, Michael rolled into Los Angeles four years ago on the second leg of his “Fog and Smog Tour” and settled in the quaint, enchanted hamlet of Hollywood. 1) He was born on January 1, the same birthday as his paternal grandfather. 2) He once had a dream in which he was sleeping (which made waking up very confusing). 3) Fact #1 was a cheap ploy to elicit birthday gifts and greetings. Michael is a graduate of San Francisco State University having earned the most useless degree offered by any academic institution ever of the world. When he’s not working, Michael is commuting.